The Epic Tales of Captain Underpants – Season 2 (2019) – What's New on Netflix Canada Today! 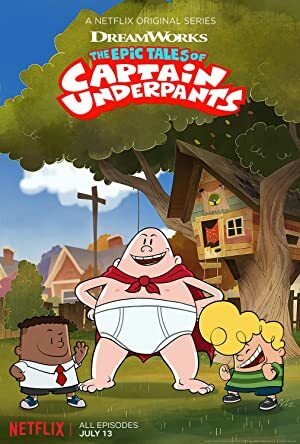 Best friends George and Harold scheme together a number of pranks at school involving their principal, whose alter ego is a superhero they created called Captain Underpants. George and Harold have to keep their grades up to go to summer camp. But it’s a tall order with Melvin — and a cyborg Melvin — running the school!